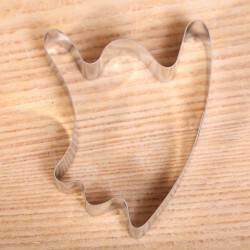 Halloween cutters There are 20 products. 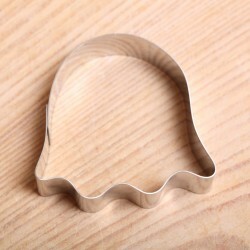 Premium cutter Little Ghost. High quality stainless steel. 6 x 6 cm / 2.4 x 2.4 inches.Made in the EU. Premium cutter Ghost. High quality stainless steel. 10 x 7 cm / 3.9 x 2.8 inches.Made in the EU. Premium cutter Witch. High quality stainless steel. 12.5 x 10.5 cm / 4.9 x 4.1 inches.Made in the EU. 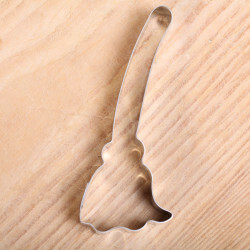 Premium XL cutter Witch on broom. High quality stainless steel. 9.5 x 8.5 cm / 3.7 x 3.3 inches.Made in the EU. 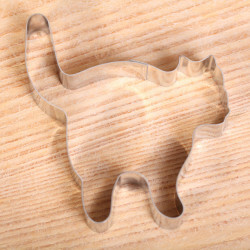 XL cookie cutter 'Scary cat'. 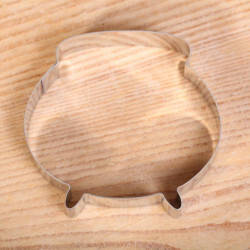 This cutter, made of high quality stainless steel, measures 9.5 x 8 cm / 3.7 x 3.1 inches.Made in the EU. 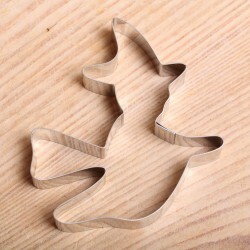 Cookie cutter 'Witches' caldron'. 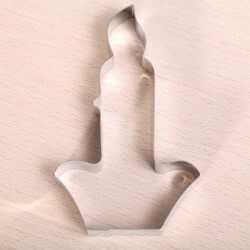 This cutter, made of high quality stainless steel, measures 7.5 x 8 cm. Cookie cutter 'Witches' broom'. 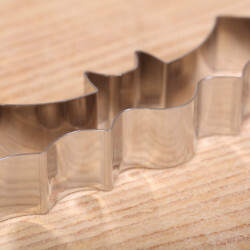 This cutter, made of high quality stainless steel, measures 10 x 4 cm. 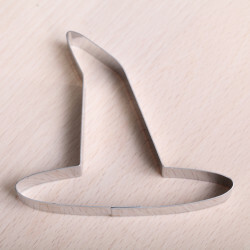 Cookie cutter 'Witch hat'. 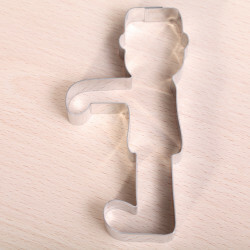 This cutter, made of very high quality stainless steel, measures 8 x 9 cm / 3.1 x 3.5 inches. 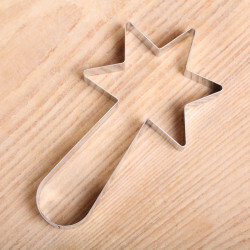 Premium XL cutter 'Magic Wand'. This cutter, made of high quality stainless steel, measures 12.5 x 6.5 cm / 4.9 x 2.5 inches. 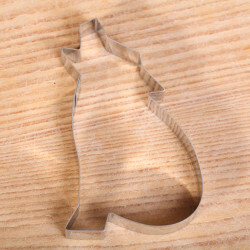 XL cookie cutter 'Cartoon cat'. 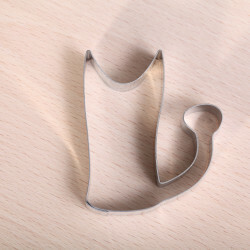 This cutter, made of high quality stainless steel, measures 7 x 6 cm / 2.7 x 2.4 inches.Made in the EU. 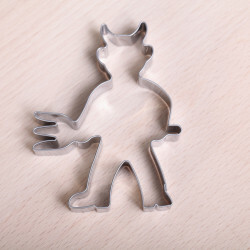 This devil with trident cookie cutter measures 9 x 7 cm / 3.5 x 2.8 inchesHigh quality stainless steel. 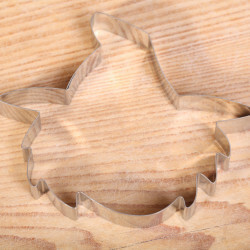 Made within the EU. 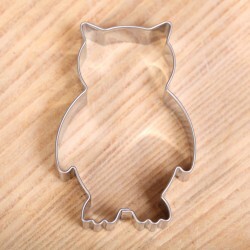 Cookie cutter 'Little Owl'. 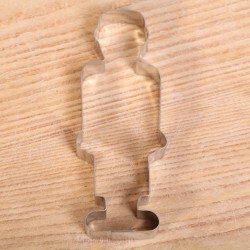 This cutter, made of high quality stainless steel, measures 6.4 x 4.2 cm. Premium cutter Bat. Dimensions 12 x 3.3 cm / 4.7 x 1.3 inchesVery good quality stainless steel. 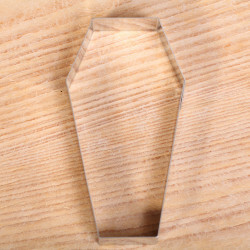 Premium cutter Coffin. High quality stainless steel. 11.5 x 6 cm / 4.5 x 2.4 inches.Made in the EU. Premium XL cutter Frankenstein's monster. High quality stainless steel. 12 x 4.5 cm / 4.7 x 1.8 inches.Made in the EU. Premium XL cutter 'Zombie'. High quality stainless steel. 12 x 6 cm / 4.7 x 2.3 inches.Made in the EU. Premium cutter Howling wolf. Dimensions 10 x 6.5 cm / 3.9 x 2.5 inchesVery good quality stainless steel. 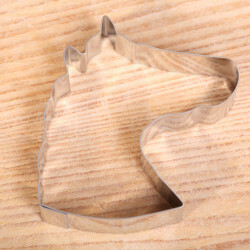 Premium cutter Horse Head. Dimensions 7.5 x 7.5 cm / 3 x 3 inchesVery good quality stainless steel. 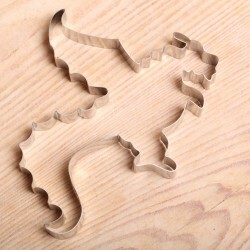 Premium cutter Dragon. High quality stainless steel. 13 x 16 cm / 5.1 x 6.3 inches.